Hard working crew on a very cold windy day. Every kid gets told to put away their toys when they are through playing with them. I guess it even happens in the adult world. Well, I'm sure they didn't think of it as "playing." It looked much more like hard work. 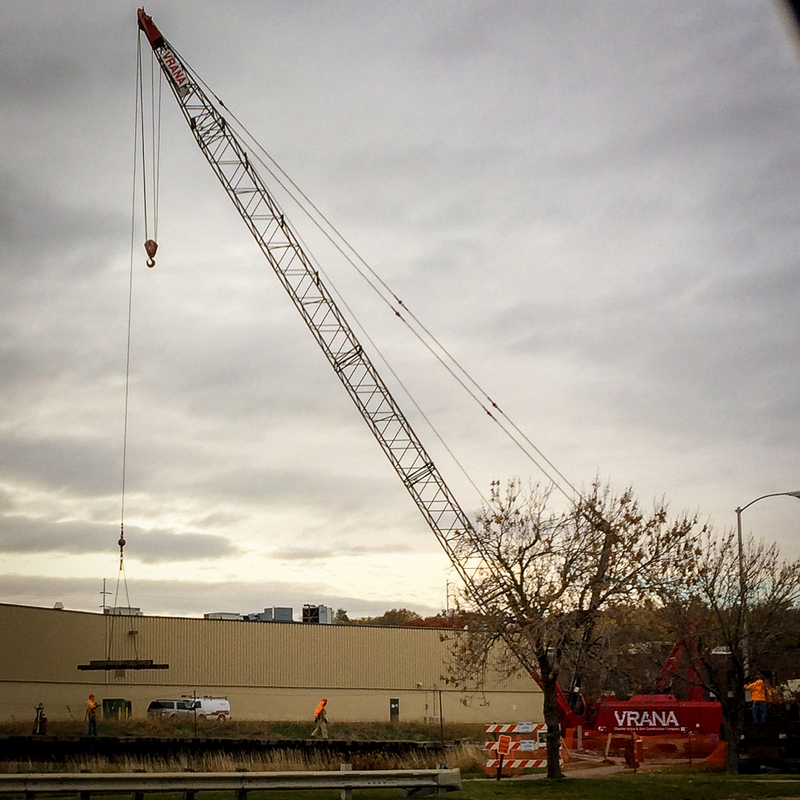 These guys are removing the train tracks from a short bridge near the parking lot of the Nebraska Furniture Mart. An older industrial area is being converted to retail space and the train tracks are in the way. They were earning their pay. It was a very cold, windy day. It didn't look like fun. It looked like the job would take a while, they were moving one or two ties at time to the back of a large truck. I snapped this photo with my phone from the NFM parking lot while sitting comfortably in my heated car.